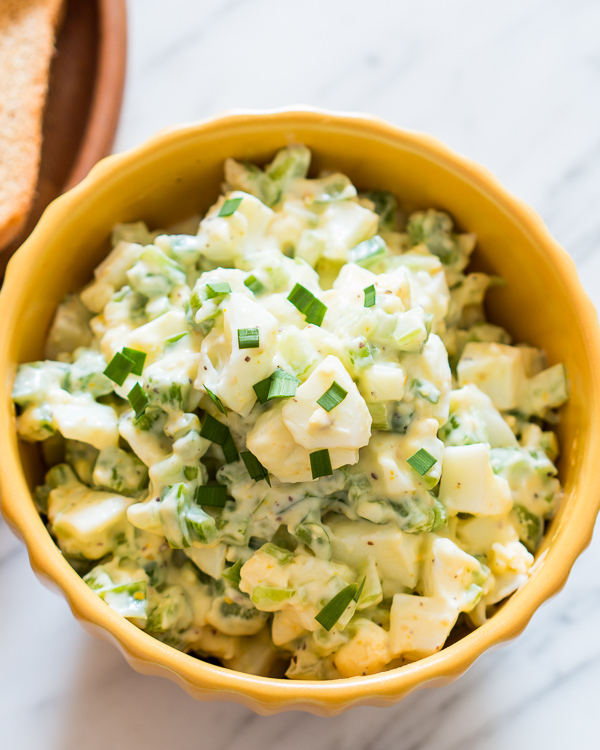 Try this creamy egg salad on a bed of lettuce greens for added crunch or between slices of multigrain bread for a satisfying sandwich! My husband has been on a boiled egg diet lately, meaning he has rediscovered his love for boiled eggs. So the egg tray in the refrigerator always has a couple of boiled eggs. I only wish they were easier to tell apart from the regular eggs. We’ve had quite a bit of egg splatter, searching for boiled eggs recently. Since we had so many boiled eggs already, I just decided on a whim to make some egg salad for dinner. We were having green beans and chicken and this egg salad made dinner such a complete hearty meal. And leftovers, always make for great breakfast sandwiches! 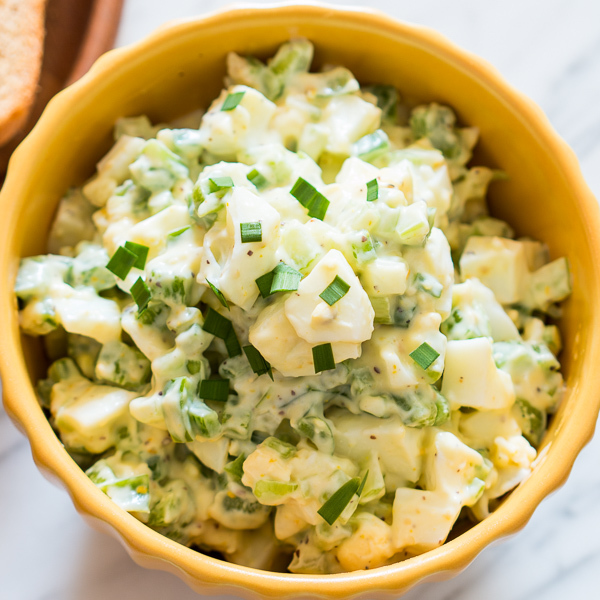 Now your regular egg salad will have either celery or red onions, and the usual mayonnaise, dijon mustard, salt and pepper. Mine has one extra ingredient which I really hope you won’t skip – capsicum or green bell pepper. Capsicum has a really unique spice level that’s not exactly hot but can really pack a punch and we love it! I really think the capsicum takes this egg salad to a whole new level. I also recommend making this ahead and refrigerating in an air tight container for a couple of hours to let the flavours mingle. Dice the hard boiled eggs into small pieces and set aside. In a bowl whisk together mayonnaise, mustard, paprika, salt and pepper. Add celery, capsicum, eggs and mix well. Transfer to an air tight container and refrigerate for 2-3 hours before serving.